Apologies, I forgot to add this to the X-705 user guide. This has been corrected. Last edited by JiggeryPokery on 21 Jul 2015, edited 2 times in total. I cobbled together some control for ABL3 on my Evolution UC33-e.
All work except for the commented out (//). They're part of the patch XML and don't cause errors, but just don't work. Perhaps someone else might have more luck? Updated Combo B3T remote map. The version in the original user guide had the correct quotes auto-replaced (thanks, Adobe!) with typographers quotes. Last edited by JiggeryPokery on 20 Apr 2017, edited 1 time in total. Here are the download links for all Robotic Bean remote map templates. Here are attached the updated and corrected remote map templates for our Noxious, LeSpace and Volt SL-1 Rack Extensions. 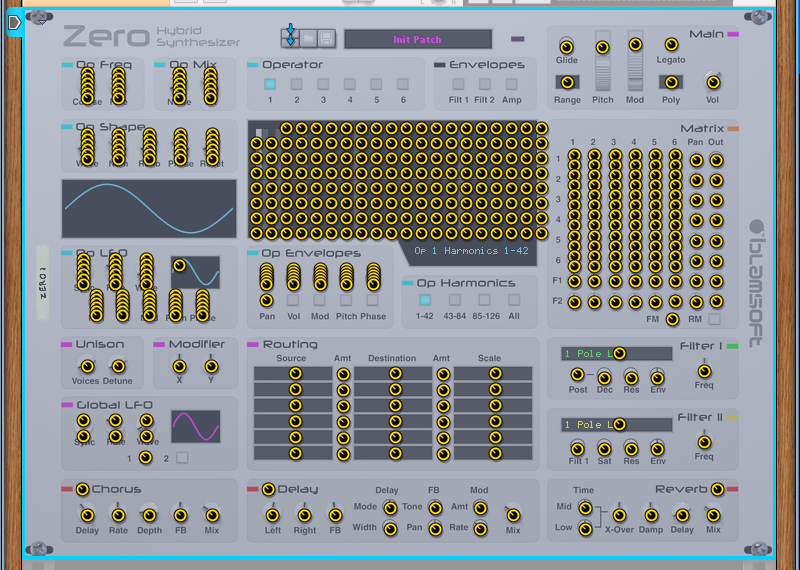 And finally the remote map template file for the Oberon Synthesizer. Here's the standard Remote™ map for the JPS Harmonic Synthesizer. Text file for download is underneath. Last edited by JiggeryPokery on 17 Jan 2017, edited 1 time in total. Does anyone has found the .remotemap Scope template for the RE Beat Crush from Nucleus Sound Lab ? I almost made it, but a few CC don't work. ... even only the scope names would be great ! Add the device in a combinator and save the combinator patch. Here's the remote maps for Skrock Music synths: Solaris, Orbis and Aurora Hybrid. Haven't tested, so forgive us if there are any errors. Hi! Corrected version of Jiggery Pokery JPS Harmonic Synthesizer (there was 1 control repeated, 2 controls missing, and most importantly the name was wrong, correct name is com.jiggerypokery.JPSHarmonicSynth, not com.jiggerypokery.JPSHarmonicSynthesizer). retango wrote: Hi! Corrected version of Jiggery Pokery JPS Harmonic Synthesizer (there was 1 control repeated, 2 controls missing, and most importantly the name was wrong, correct name is com.jiggerypokery.JPSHarmonicSynth, not com.jiggerypokery.JPSHarmonicSynthesizer). There is no Distortion Mode, so I'm wondering where you are getting that from? I see no other repeated controls, nor any any controls missing that you've added in. Can I ask, if you're still around, what I'm missing? Anyhoo, real reason I'm here is to post the Combo Electric Harpsichord. Hopefully this one is correct! Can someone please confirm if the RE's DQ & Filter by Uberwave, LLC are the same as the RE's DQ & Filter by CodeDiggers and if the original scopes/maps are the same? Has anyone got the maps for khs toolbox collection of RE's? I've put together this list of remotemaps for the khs toolbox REs, does anyone know if I've missed anything like metre outs? I'm having profound troubles with this. On my old iMac I had got things working perfectly. I have a NI Komplete Kontrol 25 and I have made a map for the different Rack Extensions. Everything was working perfectly. I now have a new iMac and I just can't make it work at all! I can install the keyboard with "other" and basic keyboard and use it to play notes. But when I try and use my old map, it installs fine - no error messages - but just doesn't play any notes, and the rotaries don't seem to be connected to Reason either. For example, when I right click a knob in Reason and press edit remote override mapping, then press a note or move a rotary on my keyboard, nothing happens. I just can't get it to connect.